The Pearls Mall, Umhlanga is hosting a Kids Easter Egg Hunt from 18 -22 April for in their Easter-themed Maze. Enjoy all that The Pearls Mall has to offer, From Shopping and Pampering to Restaurants with exceptional menu offerings and stunning views. 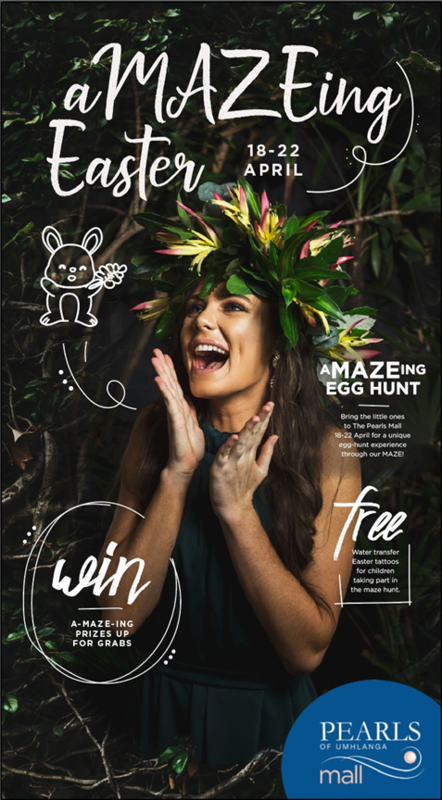 A-Maze-Ing prizes up for grabs in our Flower Art Competition this Easter! To stand a chance to win, submit your online entry of you Flower Crown or Flower Beard creation on their Facebook page and follow the entry steps. Be sure to follow them on Facebook and Instagram for full competition and prize details!